MidwayUSA is an Internet retailer offering "Just About Everything"® for shooting, hunting, and the outdoors. It is a world leader in its market sector, offering more than 110,000 products from more than 800 suppliers to 1.2 million active customers. With gross sales in excess of $350 million, MidwayUSA employs more than 350 at its facility in Columbia, Mo. Many in the company's workforce have a deep passion for shooting, hunting, and outdoor sports, which allows them to use personal knowledge and insight to better serve their customers. 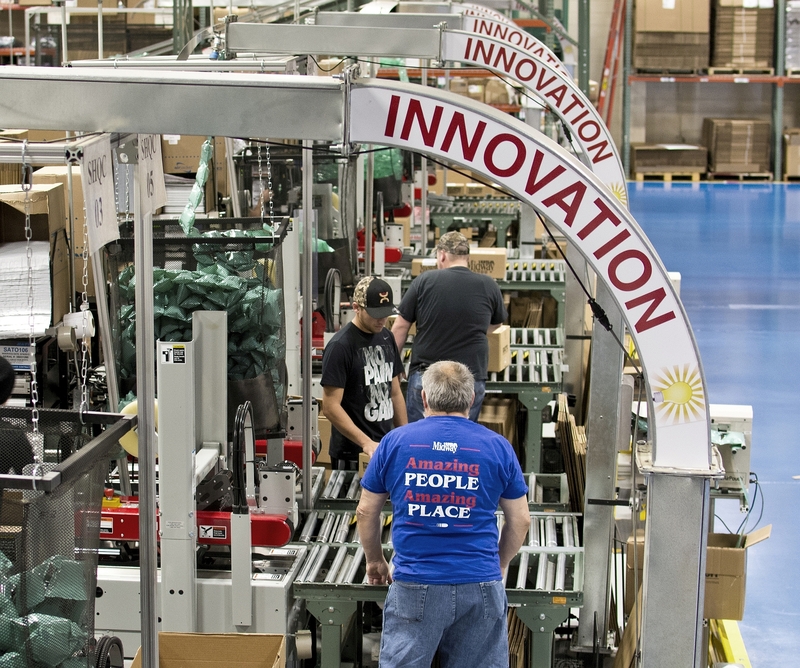 Since first adopting the Baldrige Criteria for Performance Excellence in 2006, MidwayUSA has pursued its vision to be "the best-run, most respected business in America, for the benefit of our Customers." This is the second Baldrige Award for MidwayUSA as the company was honored in the same category in 2009. As a result of MidwayUSA's focus on their number one operational goal, customer satisfaction, and the integration of customer satisfaction data into MidwayUSA's Performance Improvement System, customer approval ratings have topped 90 percent since 2006, and have exceeded the performance of its primary Internet retailing competitor for the past two years. Since 2004, MidwayUSA has sustained a 43.8 percent average annual growth rate in net income and a 21.3 percent average annual growth rate in gross sales, making it one of the fastest-growing companies in its industry. MidwayUSA improved its employee satisfaction and engagement rate from 76 percent in 2004 to 83 percent in 2015. MidwayUSA is a community leader in waste recovery and resource management, recycling paper, plastic, cardboard, pallets, and metal. In 2008, the company replaced Styrofoam packing peanuts with inflatable air pillows made of recycled plastic. MidwayUSA is virtually paperless; most marketing and business transactions are done electronically and no "snail mail" orders are accepted. MidwayUSA seeks immediate and actionable customer feedback whether a purchase was made or not. Customers who make purchases are surveyed at each phase of the transaction, including extensively following fulfillment of the order. Approximately 15,000 surveys from non-buyers add to the company's understanding of customer needs, desires, and preferences. For the period 2013-2014, Midway's customer retention rate is 23 percent better than the national benchmark for Internet retailers. Making good on its promise to "learn what is important to our Employees and work on improving Employee satisfaction every day," MidwayUSA's improved its employee satisfaction and engagement rate from 76 percent in 2004 to 83 percent in 2015. Behind this dramatic rise is a process for employees to identify their key satisfaction requirements, prioritize and weigh the importance of each requirement, and assist in the achievement of meeting those requirements. To identify future leaders, MidwayUSA uses the Leadership Development Candidate (LDC) process. Leadership development includes mentoring, Missouri Quality Award examiner training, process effectiveness audit participation, and invitations to strategic planning meetings. Thirty-eight percent of the salaried workforce participates in the LDC, resulting in more than 80 percent of management positions being filled annually since 2013 from within the company. Additionally, detailed department- and job-specific training and certification are integrated with defined career paths for workforce development. MidwayUSA's Leadership System guides all parts of the organization. The board of directors and senior management set the overall direction, including the mission, vision, values, and performance expectations, and then cascade them through all departments. Front-line employees are able to state MidwayUSA's mission, vision, and values, including how the values impacted their decisions to seek employment with the company. MidwayUSA's strong focuses on customer, employee, and supplier satisfaction have yielded an equally strong return in financial success. Over the past 11 years, the company has been one of the fastest growing in its industry, sustaining a 43.8 percent average annual growth rate in net income and a 21.3 percent average annual growth rate in gross sales. These dramatically exceed the national benchmarks of 4 percent and 6.9 percent, respectively. Return on assets has averaged 80 percent for the past five years, a rate significantly better than the 20 percent benchmark of the Risk Management Association (RMA, a national association that helps members identify and manage risk). A fully integrated, seven-step strategy development process sets the direction for MidwayUSA's high performance, sustainability, and focus on success. The process begins with a review of performance results and an analysis of strengths, weaknesses, opportunities and threats. Results are used to develop strategic objectives and the operational goals that define success for MidwayUSA. The budget and workforce planning processes are integrated with strategic planning to ensure that resources are available to implement action plans. Employees are encouraged to submit innovative ideas for improvement through process reviews, State of the Business meetings, departmental Baldrige meetings, employee roundtables, and one-page summaries of improvements to the appropriate vice president. Highly effective supply chain management has resulted in a nearly 83 percent in-stock product rate, which is difficult to achieve in MidwayUSA's industry. It has also resulted in an increase in inventory turns (the number of times inventory is "turned over" as measured by the cost of goods sold divided by the average inventory) from 5.2 in 2004 to 7.8 in 2015. The satisfaction rate for MidwayUSA suppliers and partners has been at or near 94 percent each year from 2008 to 2015, a rate better than the 84 percent achieved by the company's number one industry competitor. The management and employees of MidwayUSA care deeply about the community in which they work and live. MidwayUSA contributes to charitable organizations (donating $100 million since 2008), conducts blood drives, works with key conservation groups to preserve game and land resources, and supports education and training in the areas of shooting, hunting, firearms safety, and outdoor skills. In 2012, the company started the Youth Wildlife Conservation Experience, which helps local children attend national conventions to learn about conservation and environmental management.